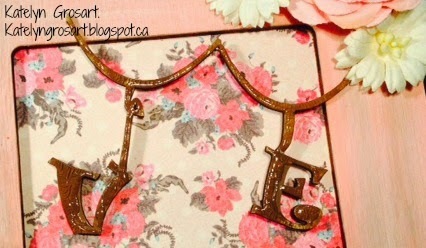 This is my project that is up on the Southern Ridge Blog today! To create the colour on the frame I used Worn Lipstick and Picket Fence Distress Paint, as well as Mushroom Adirondack Alcohol Ink. Once I was happy with the colours I sanded the top of the frame to take some of the colour away and give it more of a distressed look. The hearts I used on the project were HRT-474. I used Spun Sugar Distress Paint on the base of the heart first to give it a base and then I added Spun Sugar Distress Glitter and Sterling Glass Glitter. The Love Banner is my favourite. It is BAN-498 from SRTC. I painted the banner using Walnut Stain Distress Paint and once I cut it in half and adhered it where I wanted it, I added Crackle Accents overtop of the letters and the banner strips. 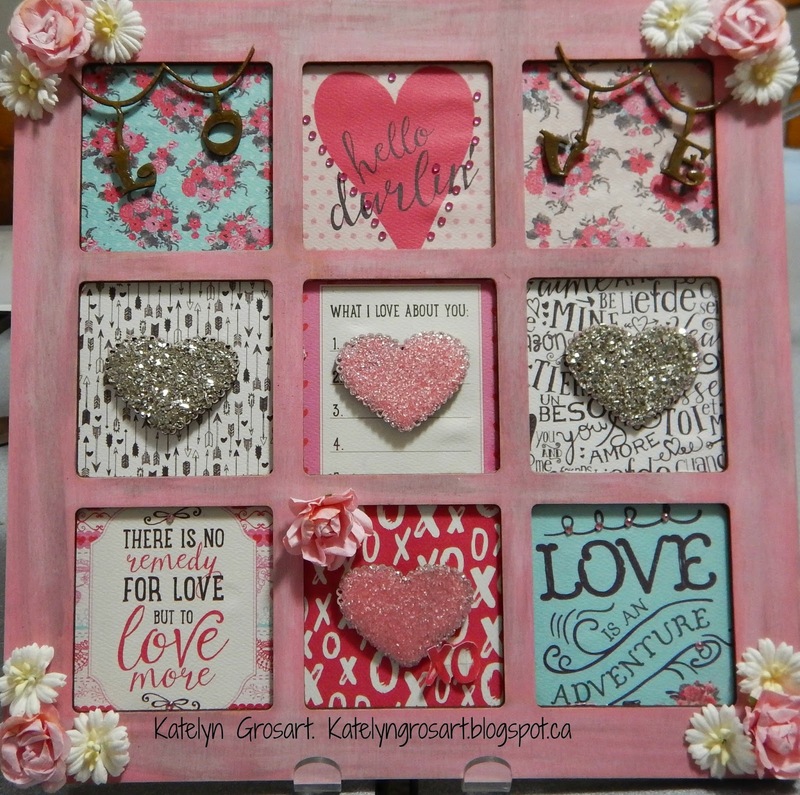 On the rest of the frame I used Authentique "Crush" paper, Bo Bunny "Think Pink" Double Dot Jewels, the pink flowers are from Kaisercraft, white flowers from SRTC and Glossy Accents to highlight parts of the tray. Hopefully you're starting to feel inspired to create for Valentine's Day. Check out the Southern Ridge Store to see other Valentine's product. I know it has been a while since I last posted. It's my turn back up on the Southern Ridge Trading Company Blog. Check the blog out as it has great inspiration! Happy New Year! Hopefully you've all had a fantastic holiday season and are ready to get back into your craft room and create! 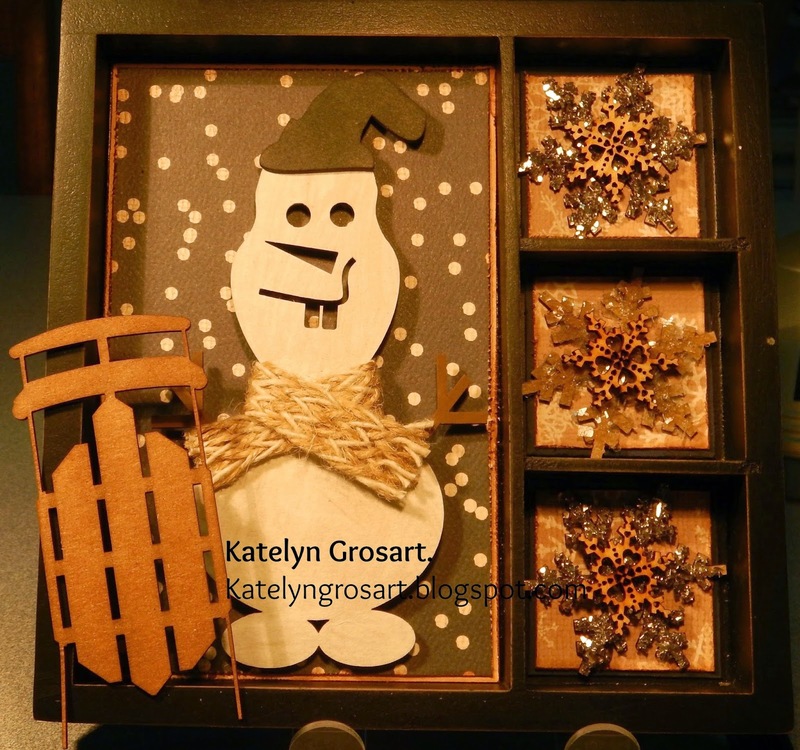 When we got to choose from the new releases to design with I knew that I needed to find a way to use the snowman. He reminds me of "Olaf" off of Frozen. 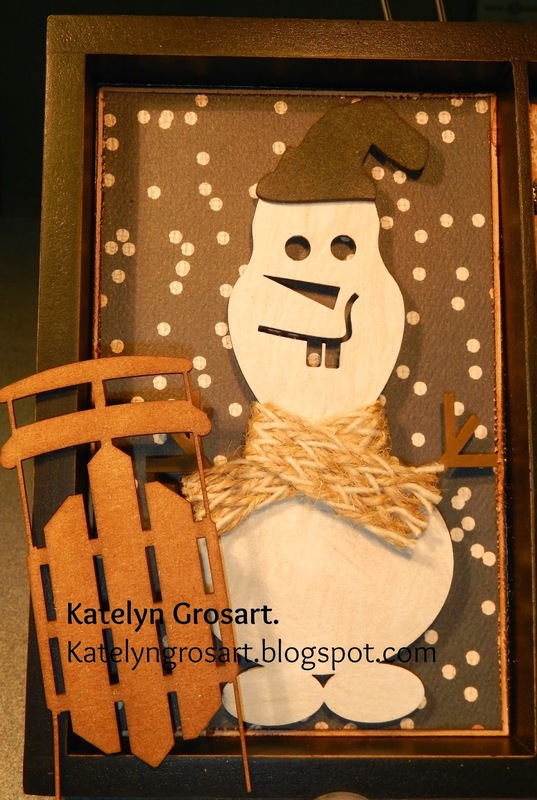 I found this great tray in with my craft stuff and I knew it would work perfectly to showcase this awesome snowman. Here is the full view of my winter time tray. Products used: 7 Gypsies tray, Carta Bella - Warm & Cozy. Snowman, sled, Snowflakes & SEA-165 from SRTC. I'm in love with the snowflakes and SEA-165 from SRTC. I added Prima glass glitter in both pearl and sterling to the large snowflakes and love how much texture that it gives them. Products used: Carta Bella - Warm & Cozy, Prima - Glass Glitter, Snowflakes from SRTC and SEA-165 from SRTC. The snowman is my favourite piece on the tray. On the snowman I used Distress Ink and Distress Paint. On the sled I used Distress Ink. Products used: Carta Bella - Warm & Cozy, Snowman & Sled from SRTC. Hopefully this has given you some inspiration to get back into your craft room. Make sure that you check back on the blog to see more amazing projects from our designers. As well check out our Southern Ridge Trading Company Facebook page.